What’s a great ninja dog in the Naruto world without a decent ninja suit? Agree? Let’s go on for the handmade Naruto Uzumaki and Akatsuki inspired dog costumes. These are two pretty fun and well-crafted dog clothes inspired by Naruto, one of the most popular Japanese manga series, and handcrafted by an Indonesian crafter. 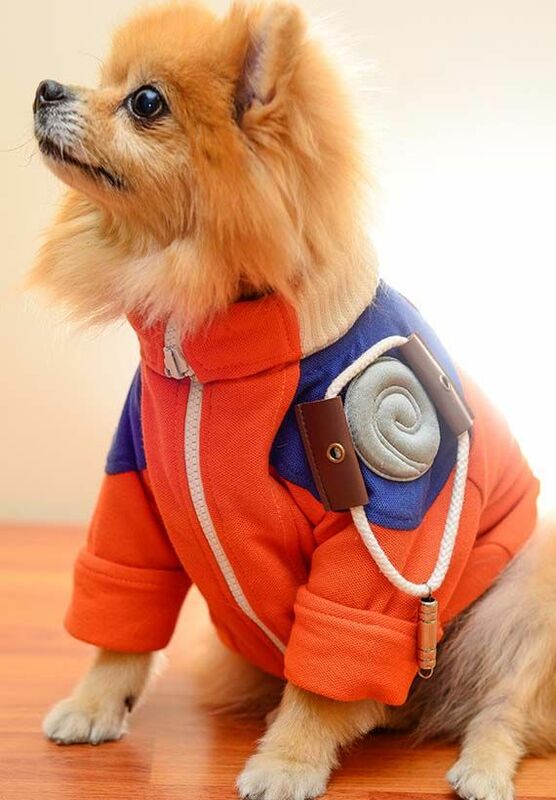 As we can see from the images, one dog costume is designed based on the clothing of Naruto Uzumaki, which shows off its classic orange-and-blue tone and meticulous detailing including two symbols of Uzumaki Clan, metal accents and more. 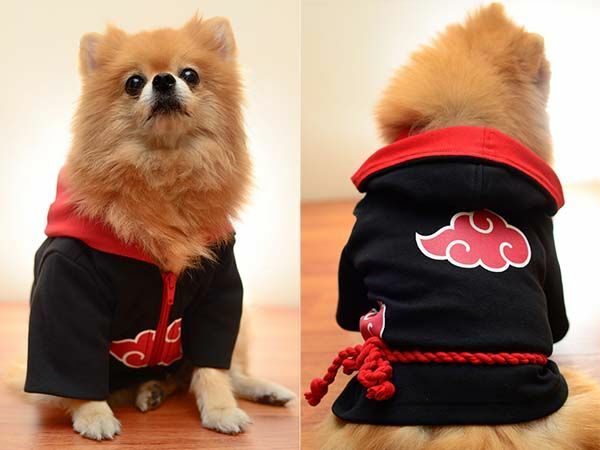 Another dog cloth is based on the clothing of Akatsuki, a mysterious team in the manga series, so the costume shows off three cloud-shaped Akatsuki symbols in its black surface, and the original red interior and accents have been fully replicated on the dog costume in order that you can disguise your fuzzy friend as one of Akatsuki. Moreover, both models come in six sizes for various dogs, and each is made of cotton material for comfort wearing experience. 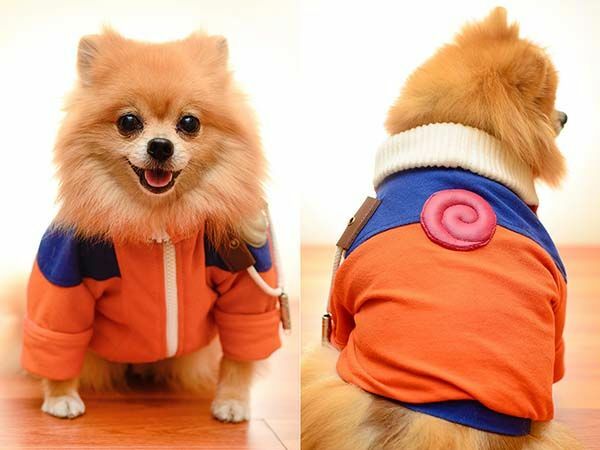 The Naruto inspired dog costumes start from $35 USD. If you’re interested, jump to Etsy (Akatsuki version) for more details. BTW, also don’t miss the Dragon Ball dog clothes and more related cool stuff by following tags.